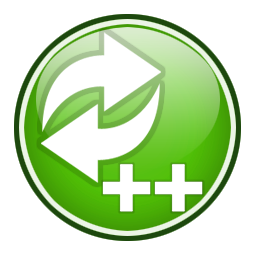 RefreshBrowser is a plug-in for Notepad++ which refreshes your web browser when you save. You no longer have to switch back and forth between Notepad++ and your browser to check your changes. RefreshBrowser connects Notepad++ with your browser to give you a very powerful IDE for web development. RefreshBrowser is free for commercial and non-commercial use. 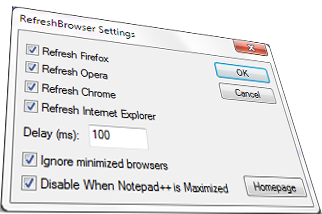 Through the settings window, you can customize the behaviour of RefreshBrowser. Choose which browsers to refresh, when to refresh and when not to refresh, and quickly enable or disable BrowserRefresh through the toolbar button.